A compass manufactured in 1928 by Boston’s E.S. Ritchie & Son and an oil painting of the 1903 Tortola-built Lady Constance are the latest additions to the Virgin Islands Maritime Museum. The museum, located on the second floor of the Centre for Applied Marine Studies at the H. Lavity Stoutt Community College in Paraquita Bay, Tortola, B.V.I., first opened its doors in 2005 with a visit from Princess Anne. “The compass is a rare find,” says curator Geoffrey Brooks. “It is made of brass and suspended in a wooden box. It was used by many mariners in East End, Tortola.” The 39-foot cutter rigged sloop Lady Constance belonged to the government and was used as a revenue cutter to intercept smugglers until she sank off St. Thomas in 1921. The museum is dedicated to preserving the rich maritime heritage of this British overseas territory, where traditional wooden sloops were built for over 300 years and used for everything from trading to carrying passengers to the doctor, school and work. 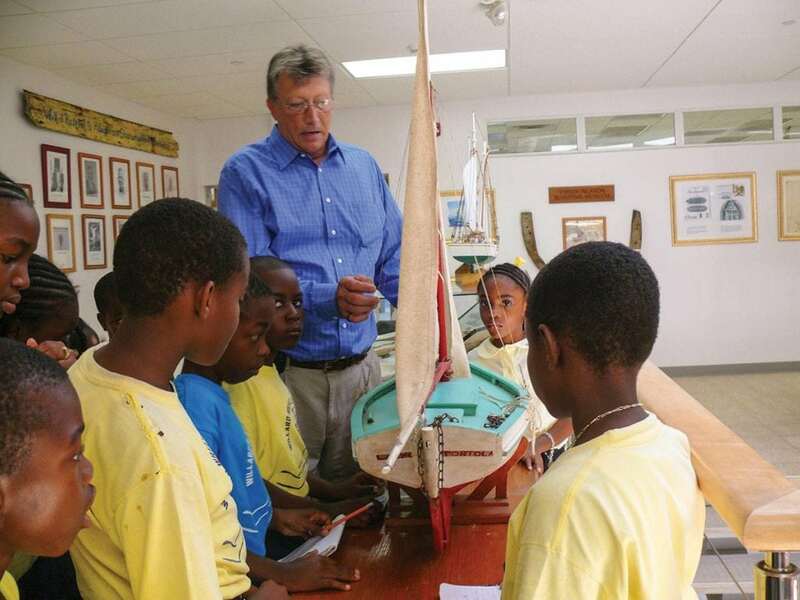 Boat models, pieces from the frames of old sloops, antiquated boat-building tools, and old photographs of sloops, shipwrights and boat launchings are displayed in the museum as well as an actual 20-foot old-style fishing boat. Hours are 9AM to 6PM Monday through Friday, with special weekend visits available by request. Admission is free, but donations are welcome. Call (284) 494-4994 or (284) 852-7169, or email info@hlscc.edu.vg.